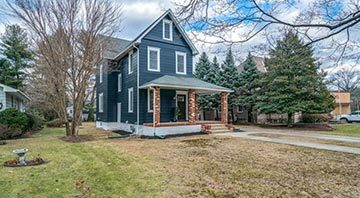 If you are looking to buy or invest in South Jersey real estate, these neighborhoods offer some of the best opportunities. We highly recommend considering them before looking anywhere else. Cinnaminson prides itself on an effective education system and neighbors who care about their community. Homes in this close-knit town start below $100,000, with the most expensive listed above $600,000. Delran offers residents many sporting and recreational opportunities, along with 450 acres of preserved open space. The most affordable homes are listed below $100,000 with the most expensive close to $1,000,000. While Maple Shade retains a strong business presence, it is also well known for its attractive suburban areas. Home prices range from $60,000 to about $400,000, making it one of South Jersey's more affordable neighborhoods. Marlton is an unincorporated community within Evesham Township. It features stately single family homes amidst a beautiful natural landscape. Prices vary from $400,000 to over $800,000. Nestled between fertile farms and the Federal Pinelands natural Reserve, and just 30 minutes from Philadelphia, Medford serves as a business and cultural hub for the region. Home prices start around $600,000 and go above $1,000,000. Medfords Lakes owes its name to the 22 lakes found throughout the borough, giving the community a unique character cherished by residents. Home prices in this one of a kind community range from below $100,000 to above $1,000,000. Moorestown bills itself as a town offering residents everything they need. With its thriving business community and myriad services, it certainly lives up to it. Homes start at around $100,000, with the most expensive listed above $7,000,000. Mount Laurel, home to many of South Jersey's 50 top employers, is a thriving residential and commercial township. Home prices in this bustling area range from below $100,000 to just around $1,000,000. Riverton's location along the Delaware river and pedestrian friendly layout make it a highly desirable place to live. Not to mention its beautiful Victorian architecture and historic gas lamps. Homes range from below $100,000 to over $600,000. 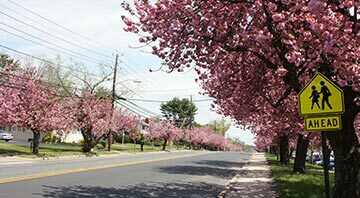 The family-friendly community of Cherry Hill is a mere 15 minutes from Philadelphia, and serves as South Jersey's commercial center. Real estate prices vary widely, from below $100,000 to over $2,000,000. With a population of just below 14,000 Collingswood represents South Jersey small town living at its best. Its lively main street is filled with restaurants, art galleries, coffee shops, and much more. Home prices vary from below $100,000 to over $600,000. 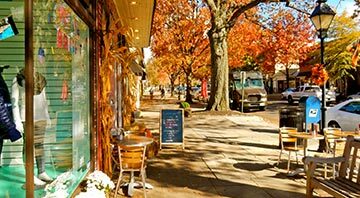 With its placid neighborhoods and varied dining and shopping options, Haddonfield is one of the Delaware's Valley's most desirable neighborhoods. 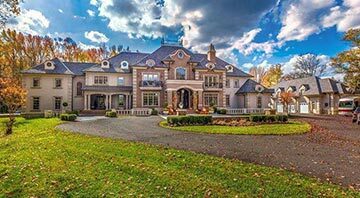 Home prices range from $150,000 to over $3,000,000. The tranquil community of Haddon Heights offers old-school charm in a small town environment. Homes range in price from the mid $100,000 range to over $600,000. In addition to its bustling New Town Center, Voorhees offers many natural open spaces including hiking trails, parks, and playgrounds. Real estate prices range from below $100,000 to over $1,000,000. 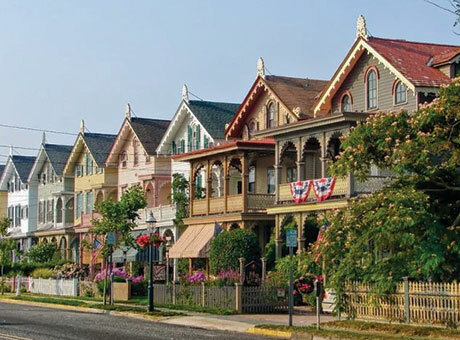 South Jersey consists of seven counties, each boasting a great variety of communities. Find the place that's just right for you. Located east of the Delaware River, Burlington County is the largest, and not to mention most populous, in the South Jersey region. 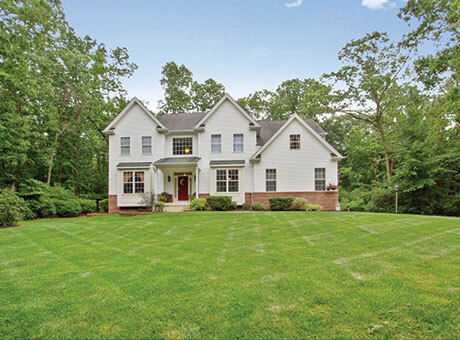 Popular areas include Moorestown, Mount Laurel, Marlton, Cinnaminson, Delran, & Maple Shade. Camden County consists of many working class municipalities, and a few affluent enclaves, making for interesting contrasts. 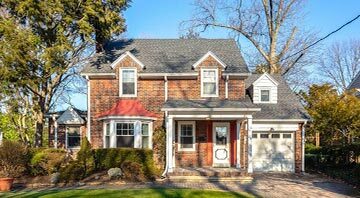 Popular communities include Cherry Hill, Voorhees, Haddonfield, Haddon Heights, Stratford. Gloucester County is one of South Jersey's fastes growing, outpacing the statewide average by a significant margin. 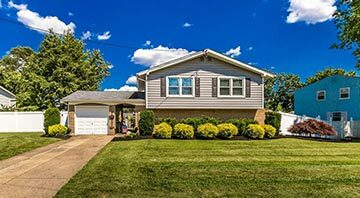 Popular communities include Deptford, Swedesboro, Washington Twp, and Sickerville. Once known as Egg Harbor Township, Atlantic County is bounded by rivers, and the Atlantic Ocean to its east. 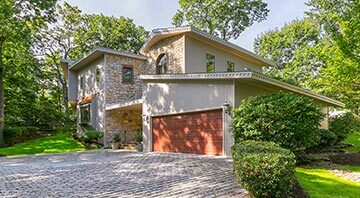 Popular communities in this coastal oriented region include Linwood, Margate City, Northfield, Egg Harbor Township, and Pomona. Cape May County is the southernmost county in New Jersey. With 30 miles of beaches, it's a consistently popular summer destination. Popular communities include The Cove, Poverty Beach, Village Green, Cape May Harbor, and West Cape May. Located centrally in the Northeast Corridor, Cumberland County is two hours from NY City and Baltimore, and 45 minutes from Philadelphia and Atlantic City. Popular communities include Vineland, Hopewell Township, Rosenhayn, Fairton, and Millville. Salem County is New Jersey's least populous county. The most populated community is Pennsville Township, with 13,409 residents according to the 2010 Census. Other communities include Woodstown, Pilesgrove Township, Elmer, and Mannington Township. Jerry Mac works with South Jersey home buyers and sellers, offering an exceptional level of service backed by his singular local knowledge and expertise. With Jerry, one can expect the most accurate information, sound analysis, and insightful real estate advice. Moreover, he is constantly exploring new ideas and embracing new technologies that facilitate the sale and purchase of your home. Our mission is to be a home financing ally that you can trust to serve your family, friends, and the South Jersey community at large. Through our network of dedicated mortgage professionals, we are able to deliver an exceptional customer experience, where your needs invariably come first. Jerry Mac is an excellent realtor and a very compassionate, understanding person. You will want him to sell your house or search for your new home. He is a patient person and very detail-oriented. He wants only what is best for you. I dealt with Jerry for almost a year, and I am an impossible person to deal with. He dealt with me with no problem and was always very patient with me. He made sure the house I wanted was perfect for me and what I was looking for. I had a pleasant experience with Jerry. If I were to buy another house or even sell my house, I would work with Jerry again. I'm that confident in him. He is the best. I dealt with other realtors. They are not like Jerry. He is one-of-a-kind. I'm glad I was able to work with him and meet him. So whoever is reading this, you have made a perfect choice in choosing Jerry Mac. A few years ago, my husband and I were looking for a home in what we thought was the perfect place for us. We found Jerry Mac at a real estate office and he worked very hard to get us into every home we wanted to see. When we found "our" house, he helped with every step in the home buying process. A few years later our family grew and Jerry Mac helped us again. He worked hard to get us buyers for our home as well as help us find our current home. Jerry Mac was very helpful and extremely knowledgeable. If I ever need to sell/buy again, I would use Jerry in a heartbeat! Jerry Mac helped two of my nieces buy their dream homes...he helped with mortgage pre-qualification and every step through closing. They had a stress free experience!! I will definitely call Jerry when I'm ready to make my next move!! 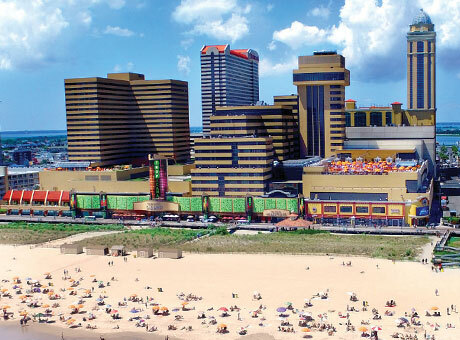 While up north things are bustling and urban, South Jersey offers a pace of life that is a bit slower. This is where the Garden State got its nickname after all. With its many festivals and farmers markets, prolific blueberry farms, and boutique shopping centers, South Jersey has become a world unto itself. 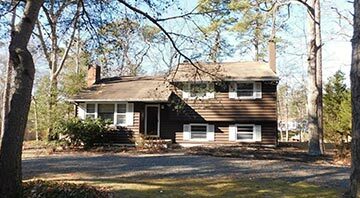 Homes for sale in South Jersey include a great variety of property types and styles. In short, you can find it all. 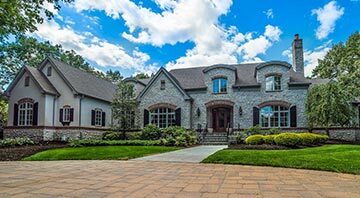 From custom single family homes, to master-planned communities, to modern condos and townhomes, to luxury estates, there is no shortage of options. Our website makes searching South Jersey real estate a breeze. We've broken down the area into its respective counties. Additionally, each county breaks down into its constituent cities. Going from county to county and from city to city is easy as can be, allowing you to focus on finding that perfect property. 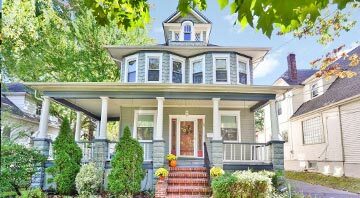 In addition to viewing current MLS listings, you'll also learn vital information about South Jersey's diverse neighborhoods. 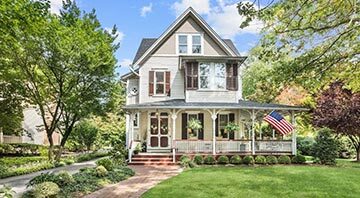 Every county, city, and neighborhood page includes a detailed community description, a market report, a map search, and pictures highlighting its homes and attractions. 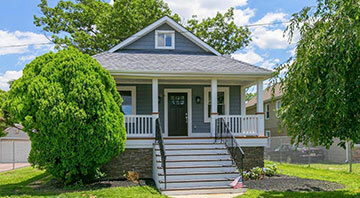 The most popular type of property in South Jersey by far is the single family home. It's the predominant property type in just about every neighborhood. The reasons for it are easy to understand. For starters, single family homes are detached, giving owners their own independent living space. Second, they can accomodate familiies of many sizes. Typical amenities for single family homes include ample square footage, spacious bedrooms, outdoor yard space, balcony space, and full kitchens. 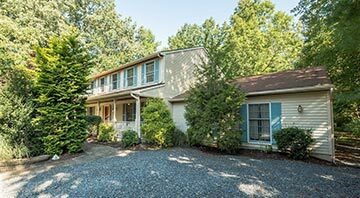 With plenty of open space, South Jersey easily accomodates its thriving single-family home market. Though single family homes dominate the South Jersey housing market, a considerable portion is made up of condos and townhomes. These are spread over a broad area among all types of neighborhoods. Typically, they are more affordable than single family homes. If one is looking for a starter home, it's a good place to start. Needless to say, not all South Jersey condos and townhomes serve as affordable alternatives to detached properties. Many upscale neighborhoods feature luxurious modern condos and upgraded townhomes with prices well above that of an average single family home. 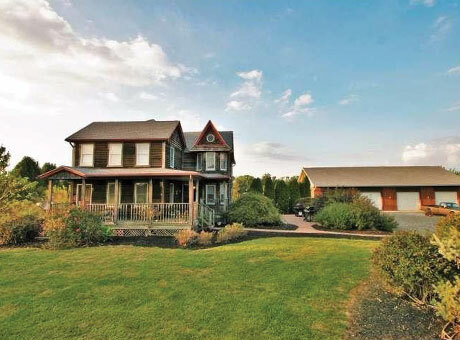 Though more rare, South Jersey real estate includes a multitude of farms, land, and multi-family properties. If you are interested in these more specialized properties, our advanced MLS search makes them easy to find. Not only do these real estate categories offer great investment opportunities, but also some very unique lifestyle opportunities. As a highly experienced local real estate agent and long-time resident, Jerry Mac is uniquely equipped to serve your South Jersey real estate needs. A home is a huge investment. It's crucial to make the right choice. Jerry will take the time to really listen to your needs, and will always remain committed to your goals. His expansive knowledge of the local market and unwavering work ethic are fully at your service. Get in touch today for a complimentary, no-hassle consultation. Moving can be a highly stressful experience, and even more so when moving to a new town. With the help of a highly experienced South Jersey Realtor® like Jerry Mac, it does not have to be. From helping you find the perfect home, to selling your current home, to securing a mortgage, to finding temporary housing, Jerry can assist with every aspect of your move. Get in touch today to get started with your South Jersey relocation.